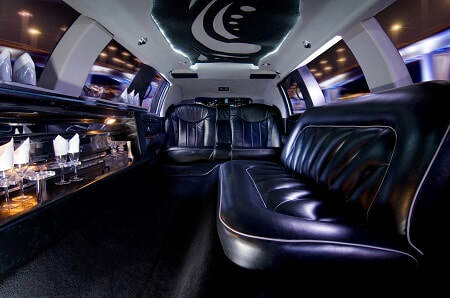 "Montreal Limos VIP offers the ultimate in corporate limo service luxury, service, price and dependability." We treat our Corporate and Executive customers with the utmost comfort and extravagance in our limo cars because we understand that each and every trip in the executive and corporate world is paramount for your business and your clients. We offer exceptional corporate Limousine Montreal service for our executive and cooperate customers, whether it be for entertaining your business clients, your employees or for yourself. Our large selection of limo cars with our competent and experienced drivers will make this ride the ultimate in luxury and will dress to impress your guests with a Montreal Limousine. Top Notch Limo Service. We have all the latest variety of executive and corporate limos that you would desire. VIP is our name and style. Our limos are of the highest upscale quality and our customers rave about our comfortable rides and VIP service. Impress your clients with a stretch or presidential limo Montreal or simply an executive sedan with a driver to greet them. Latest Technology. Our limos are equipped with the latest technologies including mobile phone, internet etc. While we drive, you can continue your work without any delays. Let us worry about the driving while you handle the rest. Fast and Prompt. Our drivers are fully trained to treat our clients with luxury that surpasses their expectations. Whether you are in a rush, or are heading to the airport or a meeting, we will be there ahead of time and waiting to transport you in our executive limo to and from your destination on time and promptly. Why Choose Our Limo Company? Reliable and professional. You can count on us with all your rental needs. Professional, courteous, timely and safety are our top priority and thats why we are the best in our business. Our drivers are bilingual and provide each customer executive service with attention and VIP treatment that is important for your business. Priced right. When renting our limo cars, whether it be your desire for hourly or by package, we make sure that our prices are affordable and best in all the industry. Our Limousines montreal are the leading limousines! Above and beyond. Renting with us means you will get the above and beyond VIP treatment and services. With our chauffeur's extensive knowledge of the city, we can guide you with any information you or your clients might need to make in order to make your evening more complete, be it an elegant dinner or a golf meeting. We understand the importance of this rental for you and we make sure to make you our priority. Your satisfaction is our main mission and that's our guarantee. Call us at the number below.